(1) Gōjū-Kai / Gōgen Yamaguchi, founder; Goshi Yamaguchi. (2) IOGKF /Morio Higaonna, founder; Tetsuji Nakamura. (4) Jundokan International / Teruo Chinen, founder. (5) Jundokan Okinawa / Eiichi Miyazato, founder; Tetsonuke Yasuda. (6) Kenshikai / Tetsuhiro Hokama, founder. (7) Ken-Shin-Kan / Seiichi Yoshikata Akamine, founder; Raul Fernandez de la Reguera. (9) Okinawa-Kan / Kiichi Nakamoto. 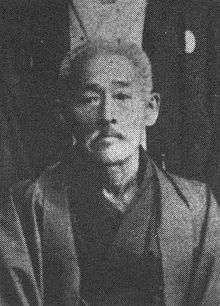 (10) Seigokan Gōjū-ryū / Seigo Tada, founder. (11) Seito Gōjū-ryū / Kanki Izumikawa, founder. (12) Sengukan / Seiko Fukuchi and Kanki Izumikawa, founder. (13) Shobukan / Masanobu Shinjo, founder; Seiki Takushi and John Porta. (15) Shoreikan / Seikichi Toguchi, founder. (18) Shinjikan / Toyama Zenshu, Founder Okinawa Gojuryu Karatedo Shinjikan. Gōjū-ryū (剛柔流), Japanese for "hard-soft style," is one of the main traditional Okinawan styles of karate, featuring a combination of hard and soft techniques. Both principles, hard and soft, come from the famous martial arts book used by Okinawan masters during the 19th and 20th centuries, the Bubishi (Chinese: 武備志; pinyin: Wǔbèi Zhì). Gō, which means hard, refers to closed hand techniques or straight linear attacks; jū, which means soft, refers to open hand techniques and circular movements. Gōjū-ryū incorporates both circular and linear movements into its curriculum, combining hard striking attacks such as kicks and close hand punches with softer open hand circular techniques for attacking, blocking, and controlling the opponent, including locks, grappling, takedowns and throws. Major emphasis is given to breathing correctly in all of the katas but particularly in the Sanchin kata which is one of two core katas of this style. The second kata is called Tensho, meant to teach the student about the soft style of the system. Gōjū-ryū practices methods that include body strengthening and conditioning, its basic approach to fighting (distance, stickiness, power generation, etc. ), and partner drills. In 1929 delegates from around Japan were meeting in Kyoto for the All Japan Martial Arts Demonstration. Miyagi was unable to attend, and so he in turn asked his top student Jin’an Shinsato to go. While Shinsato was there, one of the other demonstrators asked him the name of the martial art he practiced. At this time, Miyagi had not yet named his style. Not wanting to be embarrassed, Shinsato improvised the name hanko-ryu ("half-hard style"). On his return to Okinawa Prefecture, he reported this incident to Chōjun Miyagi, who decided on the name Gōjū-ryū ("hard soft style") as a name for his style. Chojun Miyagi took the name from a line of the poem Hakku Kenpo, which roughly means: "The eight laws of the fist," and describes the eight precepts of the martial arts. This poem was part of the Bubishi and reads, Ho wa Gōjū wa Donto su "the way of inhaling and exhaling is hardness and softness," or "everything in the universe inhales soft and exhales hard." Miyagi's house was destroyed during World War II. In 1950, several of his students began working to build a house and dojo for him in Naha, which they completed in 1951. In 1952, they came up with the idea of creating an organization to promote the growth of Gōjū-ryū. This organization was called Gōjū-ryū Shinkokai ("Association to Promote Gōjū-ryū"). The founding members were Seko Higa, Keiyo Matanbashi, Jinsei Kamiya, and Genkai Nakaima. There are two years that define the way Gōjū-ryū has been considered by the Japanese establishment: the first, 1933, is the year Gōjū-ryū was officially recognized as a budō in Japan by Dai Nippon Butoku Kai, in other words, it was recognized as a modern martial art, or gendai budō. The second year, 1998, is the year the Dai Nippon Butoku kai recognized Gōjū-ryū Karate-do as an ancient form of martial art (koryū) and as a bujutsu. This recognition as a koryū bujutsu shows a change in how Japanese society sees the relationships between Japan, Okinawa and China. Until 1998, only martial arts practiced in mainland Japan by samurai had been accepted as koryu bujutsu. Miyagi believed that "the ultimate aim of karate-do was to build character, conquer human misery, and find spiritual freedom". He stated that it was important to balance training for self-defense with "training the mind, or cultivating the precept karate-do ni sente nashi ('there is no first strike in karate')"; he also emphasized the importance of "cultivating intellect before strength". Miyagi chose the name Goju-ryu ("go" meaning "hard" and "ju" meaning "soft"), to emphasize that his style integrated both "hard" and "soft" styles. Goju applies not just to karate, but to life in general; only hardness or only softness will not enable one to deal effectively with the fluctuations of life. When blocking, the body is soft and inhaling; when striking, the body is hard and exhaling. Gōjū-ryū has 12 core kata in its standard curriculum: gekisai (dai ichi & dai ni), saifa, seiyunchin, seisan, saipai, shisochin, sanseiru, kururunfa, sanchin, tensho, and suparenpai. Students in most schools are required to know all of these kata before reaching sandan. Morio Higaonna writes that "Karate begins and ends with kata. Kata is the essence and foundation of karate and it represents the accumulation of more than 1000 years of knowledge. Formed by numerous masters throughout the ages through dedicated training and research, the kata are like a map to guide us, and as such should never be changed or tampered with." Almost all of the kata have a corresponding bunkai oyo, a prearranged two-person fighting drill. These drills help the student to understand the applications of the kata, establish proper rhythm/flow, to practice constant attack/defense, and to safely practice dangerous moves on a partner. Kihongata means a "kata of basics." In Gōjū-ryū, sanchin kata is the foundation to all other Gōjū kata because it teaches basic movements, basic techniques, power generation and breathing techniques from qigong. It is also the foundation of body conditioning. The more the karateka practices this kata, the more his Heishugata will change. First variation of Sanchin-kata (sanchin kata dai-ichi) serves as Kihongata. See more on Sanchin kata below. Gekisai (kanji: 撃砕; katakana: ゲキサイ) means "attack and destroy". These kata were created around 1940 by Chojun Miyagi and Nagamine Shoshin as beginners' kata, to introduce the basic forms of karate (kihon) to middle school students in Okinawa, to help bring about the standardization of karate, and to teach a basic set of techniques for self-defense. Gekisai kata were strongly influenced by the Shuri-te techniques that Miyagi learned from Anko Itosu. Students first learn gekisai dai ichi and then gekisai dai ni. The main difference between dai ichi and dai ni is that dai ni introduces open handed techniques and new stances. It is in gekesai dai ni that students are introduced to the neko ashi dachi stance, and to the wheel block(mawashe uke). Saifa (Kanji: 砕破; Katakana: サイファ) means "smash and tear". Saifa has its origins in China, and was brought to Okinawa by Higashionna. It contains quick whipping motions, hammerfists, and back fist strikes; it particularly emphasizes moving off-line from an opponent's main force, while simultaneously closing distance and exploding through them. This is usually the first advanced Gōjū-ryū kata the students learn in most goju kaiha, after gekisai dai ichi and gekisai dai ni. Sanchin (Kanji: 三戦; Katakana: サンチン) means "three battles". This kata is a sort of moving meditation, whose purpose is to unify the mind, body and spirit. The techniques are performed very slowly so that the student masters precise movements, breathing, stance/posture, internal strength, and stability of both mind and body. Sanchin is the foundation for all other kata, and is generally considered to be the most important kata to master. When new students came to Miyagi, he would often train them for three to five years before introducing them to sanchin. He would make them train very hard, and many of them quit before learning sanchin. Those that remained would focus almost exclusively on sanchin for two to three years. Miyagi's sanchin training was very harsh, and students would often leave practice with bruises from him checking their stance. Tensho (Kanji: 転掌; Katakana: テンショウ) means "revolving hands". Like sanchin, tensho is a form of moving meditation; tensho combines hard dynamic tension with soft flowing hand movements, and concentrates strength in the tanden. Tensho can be considered the ju (soft) counterpart of the sanchin's go (hard) style. Kaishugata means a "kata with open hands." This is more advanced than Heishugata. Kaishugata serves as a "combat application reference" kata and is open to vast interpretation (Bunkai) of its movements' purpose (hence, "open hands"). Seiyunchin (kanji: 制引戦; katakana: セイユンチン (attack, conquer, suppress; also referred to as "to control and pull into battle"): Seiunchin kata demonstrates the use of techniques to unbalance, throw and grapple, contains close-quartered striking, sweeps, take-downs and throws. Shisōchin - Kanji: 四向戦- Katakana: シソーチン ("to destroy in four directions" or "fight in four directions"): It integrates powerful linear attacks (shotei zuki) and circular movements and blocks. It was the favorite kata of the late Miyagi. Sanseirū - Kanji: 三十六手 - Katakana: サンセイルー (36 Hands): The kata teaches how to move around the opponent in close quarters fights, and emphasizes the destruction of the opponent's mobility by means of kanzetsu geri. Seipai - Kanji: 十八手 - Katakana: セイパイ (18 Hands): Seipai incorporates both the four directional movements and 45° angular attacks and implements techniques for both long distance and close quarter combat. This was a Seikichi Toguchi's specialty kata. Kururunfa - Kanji: 久留頓破 - Katakana: クルルンファー (holding on long and striking suddenly): Its techniques are based on the Chinese Praying Mantis style. It was Ei'ichi Miyazato's specialty kata. Seisan - Kanji: 十三手 - Katakana: セイサン (13 Hands): Seisan is thought to be one of the oldest kata that is widely practiced among other Naha-te schools. Other ryuha also practice this kata or other versions of it. Suparimpei - Kanji: 壱百零八 - Katakana: スーパーリンペイ (108 Hands): Also known as Pechurin, it is the most advanced Gōjū-ryū kata. Initially it had three levels to master (Go, Chu, and Jo), later Miyagi left only one, the highest, "Jo" level. This was a Meitoku Yagi's, Masanobu Shinjo, and Morio Higaonna's specialty kata. In 1940, Hayakawa, governor of Okinawa, assembled the Karate-Do Special Committee, composed by Ishihara Shochoku (chairman), Miyagi Chojun, Kamiya Jinsei, Shinzato Jinan, Miyasato Koji, Tokuda Anbun, Kinjo Kensei, Kyan Shinei, and Nagamine Shoshin. The goal was to create a series of Okinawan kata to teach physical education and very basic Okinawan 'independent style' martial arts to school children. Their goal was not to create a standardized karate as the Japanese had been doing with kendo and judo for the sake of popularization. This type of kata is not traditional Gōjū-ryū kata; instead, they are "promotional kata", simple enough to be taught as part of physical education programs at schools and part of a standardized karate syllabus for schools, independent of the sensei's style. Nagamine Shoshin (Matsubayashi Shorin-Ryū) developed fukyugata dai ichi, which is part of current Matsubayashi Shorin Ryu syllabus; Miyagi Chojun developed fukyugata dai ni, which is part of current Gōjū-ryū syllabus under the name gekisai dai ichi. Some Gōjū-ryū dojos still practice fukyugata dai ichi. Miyagi also created gekisai dai ni, but it is practiced by Gōjū-ryū and some offsprings only. ↑ Bishop, Mark (1989). Okinawan Karate. p. 28. ISBN 0-7136-5666-2. 1 2 3 "Okinawa Gojuryu Karatedo Kugekai". ↑ Babladelis, Paul (December 1992). "The Sensei Who Received Chojun Miyagi's Belt: Okinawan Goju-Ryu Karate is in Good Hands with Meitoku Yagi". Black Belt Magazine: 41. ↑ Clark, Mike. "Six winds hands of Tensho". Retrieved 2008-12-07. ↑ Goodin, Charles "The 1940 Karate-Do Special Committee: The Fukyugata Promotional Kata." 1999. Higaonna, Morio (2001). The History of Karate: Okinawan Goju Ryu. ISBN 0-946062-36-6. Kane, Lawrence A.; Wilder, Kris (2005). The Way of Kata: A Comprehensive Guide to Deciphering Martial Applications. YMAA Publication Center Inc. ISBN 978-1-59439-058-6. McCarthy, Patrick (1995). The Bible of Karate: Bubishi. Tuttle Publishing. ISBN 0-8048-2015-5. McCarthy, Patrick (1999). Ancient Okinawan Martial Arts. Vol. 1. Tuttle Publishing. ISBN 978-0-8048-3147-5. McCarthy, Patrick; Lee, Mike (1987). Classical Kata of Okinawan Karate (2nd ed.). Black Belt Communications. ISBN 978-0-89750-113-2. Nardi, Thomas J. (June 1985). "Learning Goju-Ryu Karate from the Source: Chojun Miyagi". Black Belt Magazine. 23 (6): 28–32; 126–129. Okami, Paul (January 1983). "The Long and Winding Road: History of Goju-Ryu From Its Origin in China to Its Demise(?) in New York City". Black Belt Magazine. 21 (1): 70–77. Toguchi, Seikichi (1976). Okinawan Goju-Ryu. Black Belt Communications. ISBN 978-0-89750-018-0. Toguchi, Seikichi (2001). Okinawan Goju-Ryu II: Advanced Techniques of Shorei-Kan Karate. Black Belt Communications. ISBN 978-0-89750-140-8. Wilder, Kris (2007). The Way of Sanchin Kata: The Application of Power. YMAA Publication Center Inc. ISBN 978-1-59439-084-5. Higaonna, Morio. Karate-do Tradicional: Tecnicas BasicasHigaonna, Morio (2001). The History of Karate: Okinawan Goju Ryu. ISBN 0-946062-36-6. Nardi, Thomas J. (June 1985). "Learning Goju-Ryu Karate from the Source: Chojun Miyagi". Black Belt Magazine 23 (6): 28–32; 126–129. Okami, Paul (January 1983). "The Long and Winding Road: History of Goju-Ryu From Its Origin in China to Its Demise(?) in New York City". Black Belt Magazine 21 (1): 70–77.